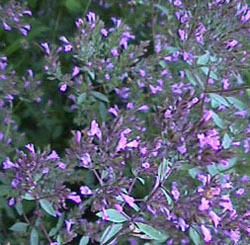 The wiry stems are well branched and covered with heads of small purple corollas and narrow purple bracts. A light and airy plant for the border. Nice, too, for fresh-cut and dried flowers. Not for cooking. Categories: All Items, all potted plants, bee nectar plants, butterfly nectar collection, butterfly nectar plants, deer resistant, dried flowers, Potted Plants, More..